The Physical Science and Engineering Complex at Foothill College is a cluster of four buildings sited outside the core campus. 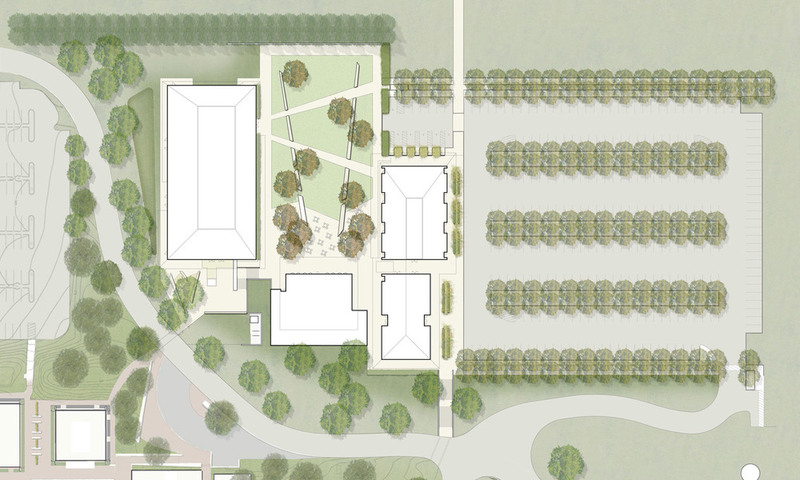 The design of the landscape includes an active academic court, an entry plaza and a large parking lot. 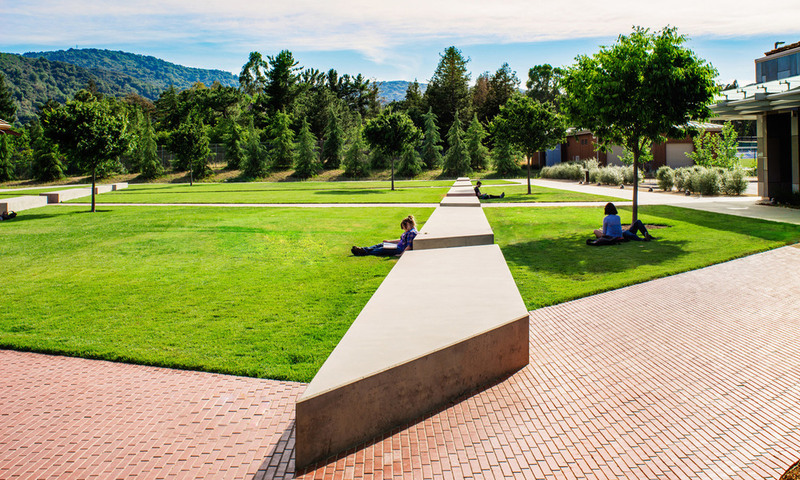 Oversized seat walls in the court score a central amphitheater, directing views to the stunning landscape to the west and providing ample seating for the students and faculty. Awarded LEED Silver, sustainable measures include native meadow restoration, storm water bioretention and mitigation of heat island effect through extensive tree planting in the parking lot.